I've been gushing about this on Discord. 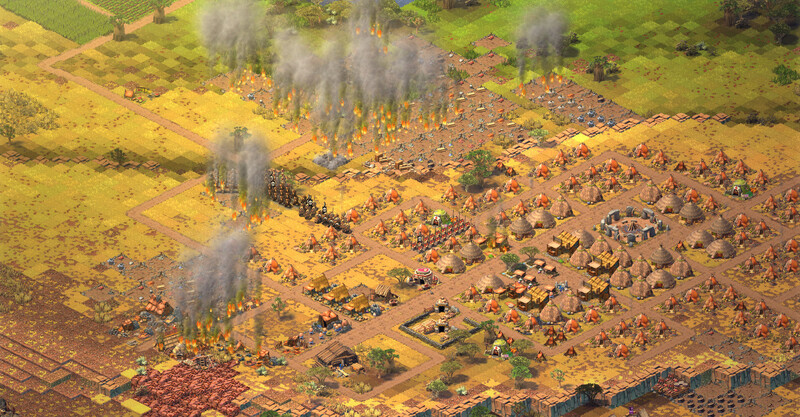 Steam wrote: Ymir is a 4X multiplayer strategy game combined with a city builder where each player develops a civilization of pigmen starting at the stone age. 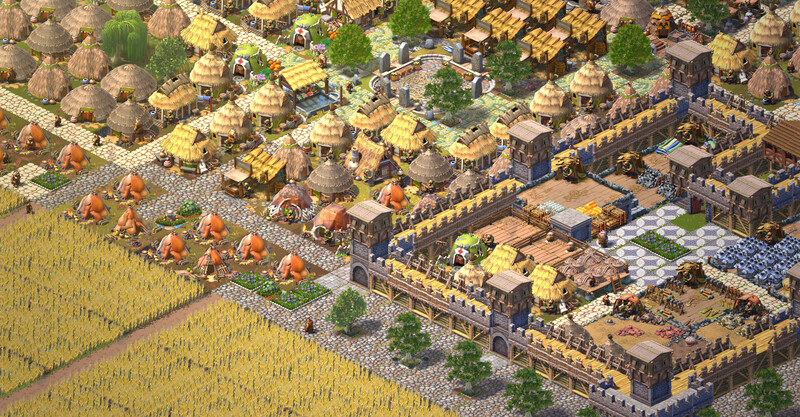 culture.vg wrote: 4X MMO version of Age of Empires with up to 100-player persistent world. If they could just replace the stupid pigs with actual character design it could well end up being GOTY material. * Real-time mode : a 'classical' mode to be played alone or with a few friends, meant to be played with the permanent presence of all players and to be stopped/continued over several playing sessions. * Battles can include unlimited 'teams' at the same time, each one fighting according to its allegiances. * Battle troops during a battle are all AI controlled ( so that battles can happen independently of the player's presence ). Last edited by icycalm on 13 Jan 2019 23:29, edited 2 times in total. I went nuts in the thread. 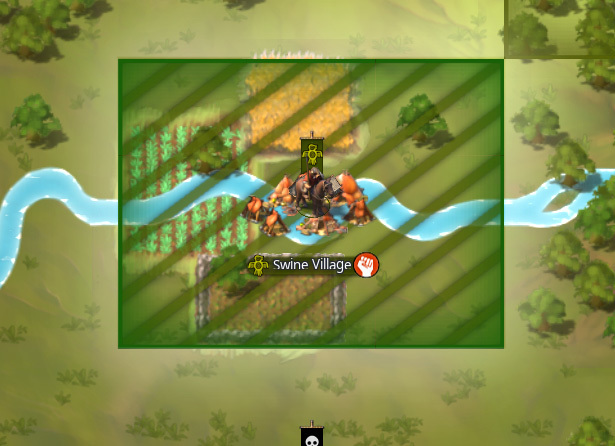 I wrote: Feces-shaped villagers would also be "unique". Uniqueness is not an argument. People play these games because they want to feel like rulers, like kings and emperors. They want to feel like Alexander and Caesar, not like a f*cking ruler of pigs. I am a videogame critic and theorist of 13 years, and the designer of this game needs to listen to a sane voice on the matter. If you spend too much time in a room, like programmers tend to do, you lose touch of reality, and start seeing pigs or whatever everywhere, and then you think that everyone else dreams of pigs too, and wants to see movies about pigs and play games about pigs. The reality is that with proper character design this game would sell AT LEAST DOUBLE, if not 10x what it will sell with the stupid pigs, so if the designer wants to make money to continue development, and if the players want a large community to play with, just replace the damn pig sprites with an image OF JUST ABOUT ANYTHING ELSE as soon as goddamn possible! I would bite if I could save my Steam hours. As things stand, I will wait for the Steam release unless someone else jumps in first and hypes me up to the required levels for an impulse purchase. EDIT: Oh wait, the key is playable through Steam. I will be camping on September 1. Join me if you will! This finally has a release date, no camping required: March 15, same as The Division 2. Available on March 15th in Early access! Thibaud Michaud wrote: Pricing will vary depending your region. It will be available for 30€ in the EU. And a cool update has just been released. 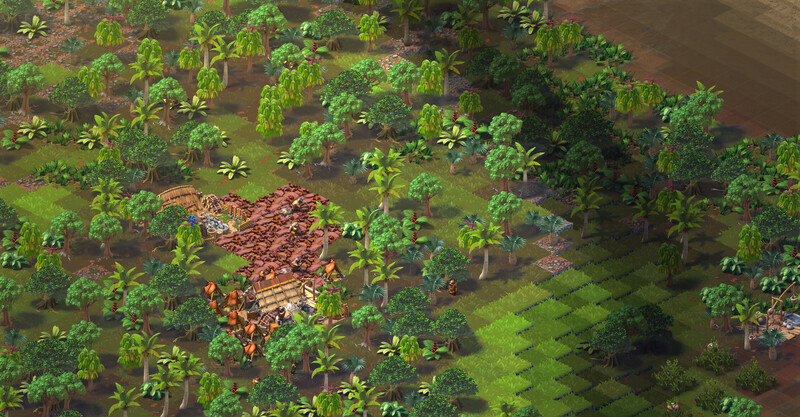 Thibaud Michaud wrote: This new update brings changes to war and territorial statuses! Every time a territory is invaded during a war, it now gets a special new territorial status of "occupied territory", which costs no state power and no maintenance, but provides no income and no control: the territory is basically in limbo for the duration of the war. It also no longer triggers a resistance penalty: instead, occupied territories generate resistance with time. If the invader wishes to claim the territory, he can still do so by changing that status to something else, but by doing so the immediate resistance penalty will apply as before. 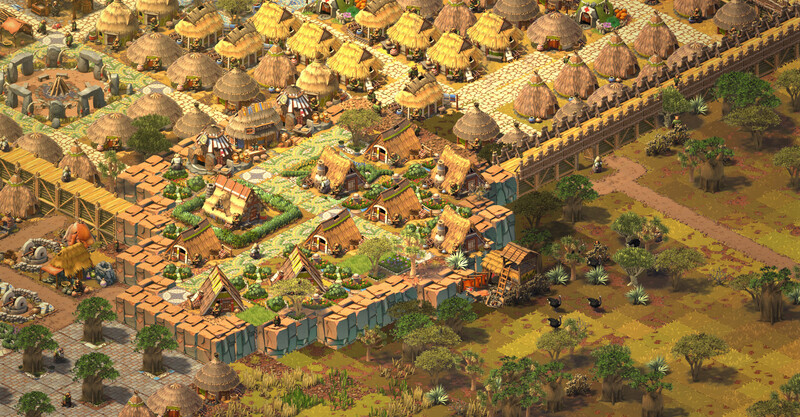 It's basically Age of Empires MMO. The "4X" and "technology" claims are quite overblown, because the theme precludes significant tech evolution. 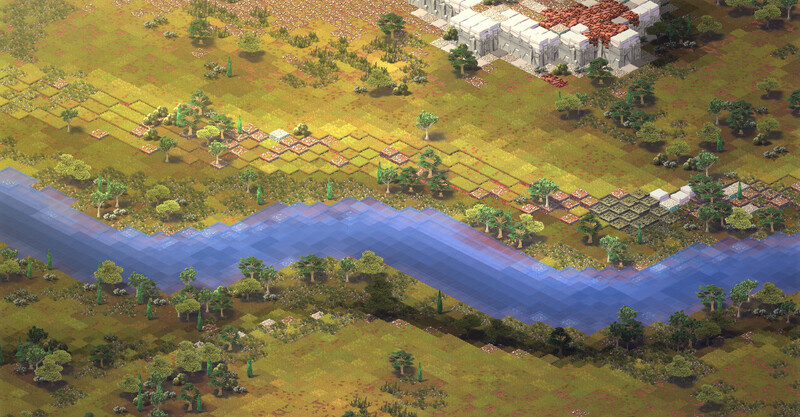 And anyway, AoE already had tech. So maybe here it'll be a little more complex, but still a far cry from what a proper 4X games calls technology. 100-player games are nothing to sniff at though, not to mention the massive maps, etc. I am looking forward to this a lot and hope I'll find some people to play it with me. We'll need a decent size team to have some hope of winning 100-player games. 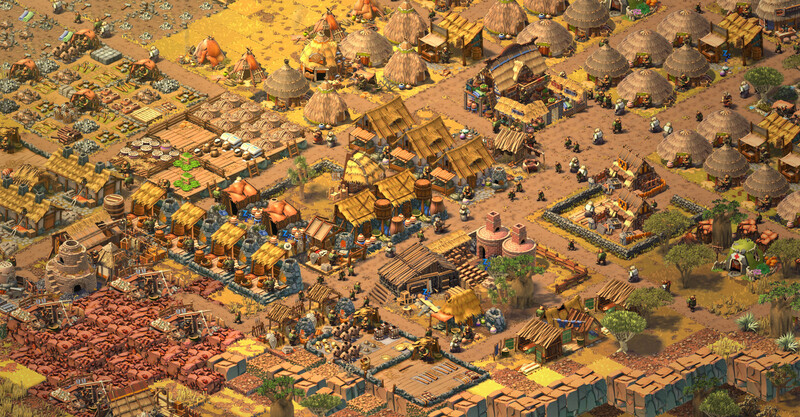 Which reminds me: you can think of this as Age of Empires: Battle Royale lol.